Nicola Morgan’s known for being versatile in her writing, and blunt in her advice. Her Help! I Need a Publisher blog is merciless in its debunking of writing myths. Morgan is unafraid to tell it like it is, much to the benefit of those who read her. Not familiar with Morgan? Here’s her bio. 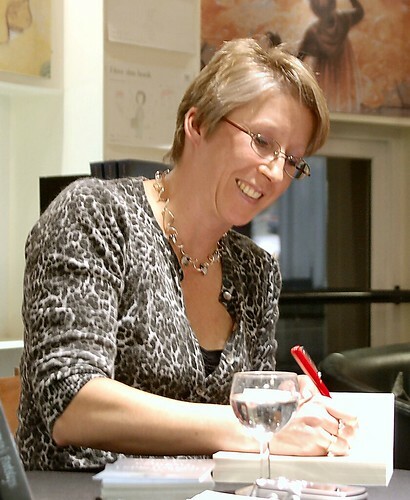 Nicola Morgan is an award-winning and multi-published UK author, writing mostly for the Young Adult market. She is best known in the UK for her YA novels and non-fiction about the teenage brain—Blame My Brain was shortlisted for the Royal Society’s Aventis Prize. 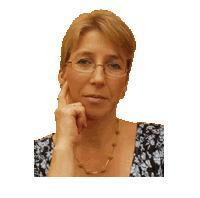 Nicola blogs eagerly about how to become and survive as a published writer and her blog—Help! I Need a Publisher!—is highly recommended by agents and editors. She has also just launched a new literary consultancy, Pen2Publication. Nicola divides her working time between writing, speaking, advising, and dreaming of shoes and chocolate. Her greatest ambition is to learn to say no to the right things. She is hoping that Booklife is going to help her achieve this. What do you find are the biggest challenges facing writers who are about to have a book published for the first time? How do you personally use new media? And how do you incorporate use of new media into a larger plan? I use Twitter and blogging, very much in tandem as each feeds the other. I don’t use Facebook much any more, certainly not for promotion. I love blogging because it is real writing and a writer is what I am. It’s communication and communication is what writing is. In fact. I could convince myself so strongly of that that I might forget to do the writing that pays the bills! Are there modern tools for writers that you feel actually hinder or put blinkers on creativity? Well, I’m sceptical about novel-writing software. I used and liked one piece of software once, but then i realised I could do the same (but more quickly) with pieces of card on a felt board. But I’d hate to make rules about creativity except to say that if it works, do it, but be aware that it might not be working. It’s very easy to sell a writer an idea by saying it will make writing easier. Does it? Hmmm. I think we have to look inside ourselves more. How much distance do you keep from your readers and fans? Is there a line you don’t want people to cross? I don’t want them to phone me or turn up on my doorstep but otherwise I love hearing from them and meeting them. I do huge numbers of school events (because I write for teenagers) and I love it when they email me afterwards. They ask quite personal questions and it doesn’t bother me at all—i regard it as a compliment that they are so relaxed. After all, if I don’t want to answer, I don’t have to. How much of an introvert or extrovert are you, and how does it affect your writing career? Difficult (and interesting) question. I think people would think of me as an extrovert but actually it’s not so simple. I have learnt to deal with public speaking and even learnt to love it. Some people would say that makes me an extrovert. And loving public speaking is certainly something that helps now. But I know plenty of writers who manage to keep themselves private and not do much speaking. And the networking side can often be done without face-to-face contact. It’s a matter of finding the things each author is comfortable with. What are the advantages and disadvantages of having an identity as a writer that isn’t tied to one particular genre or type of book? I feel there’s more of a disadvantage, though my publishers have never complained. It keeps me happy and stops me getting bored, knowing that I can write about anything, wherever my heart takes me; but I might sell more books if I could stick within one framework. People would know what to expect. Are there attributes a fiction writer either has or doesn’t have, that can’t be taught? Inspiration, passion, the specific choice of words. All the other stuff, the technical stuff, can be taught. In Booklife, identify curiosity, receptivity, passion, imagination, discipline, and endurance as the pillars of your personal booklife. Which of those attributes do you think are most valuable, and what would you add to them? I think a magical combination of passion and discipline. I’d add insight—insight into other people’s worlds and into your own. You have to know what you want and what other people want and find a way to steer a path between the two. What does the term “permission to fail” mean to you? For a writer, you have to accept that you will fail to carry every reader along with you. It’s odd because I perfectly well know that I write for a specific group of writers so I shouldn’t care when someone not in that group doesn’t relate to my books, but I do, and I need not to. I need to care only about succeeding with my desired readers. In accepting the modern internet-driven paradigm of “writer,” have we lost anything? I am sorry but I believe we have lost some quality and judgement. We have diluted our art. (I know that sounds pompous. It’s just meant to sound heartfelt.) Too much democracy, while a good thing in politics, is not a good thing in art. Too many people think that writing is easy, because, in a sense it is: but writing well is as hard as it ever was. What’s the best part of being a writer for you–the thing you’d only give up over your dead body? The power to change people’s hearts and minds. And the look on their faces when you’ve done it. What’s the dumbest thing you’ve ever seen a writer do? When writers are arrogant, when they expect adulation, that’s sickening, stupid and ugly. And very dumb. This entry was posted in Uncategorized and tagged Booklife Gut-Check. Bookmark the permalink. Thank you for the interview. I especially like the question about permission to fail. It is hard to live with the idea you have written something that just isn't working. Failure seems more like 'giving up'. I will start giving myself permission to mess up and start over on something new and when I get it right I won't be arrogant about it. Just geatful. Great interview, and I love your blog. – With querying, after a writer has created a list of agents ranked in order of the most ideal to the moderately appealing, would you recommend sending out to your most ideal agents first? Or in the second or third batch, just in case you discover your query letter isn't as wonderful as you'd hoped? How many agents should you query at a time? – How many beta readers would you recommend, and at what stages of drafting and revising? I skipped over here to visit from Nicola's blog. Great interview. I liked the bit about novel writing software. I've been considering buying some, but I am weighing pros and cons. Good thoughts on it. Also, the fact that Nicola is not tied to one particular genre makes me smile. I feel the same way (I'm interested in a range of genres and to continue writing in any particular one may just not work for me, either). The Voice – it is indeed hard! I think that most, if not all, writers feel this sometimes, even when they appear to have "cracked" it. Donna – hello! Re how many agents and which first – I'd say there's no rigid answer about this. However, I recommend sending to no more the 3-5 in one go, because if you get some feedback from one or two which make a useful suggestion, and if you agree with that suggestion, you don't want to have already sent it out imperfectly to lots more. Regarding in what order: the thing is that you should only send your work out when you think it's the best it can be, so you should do it with confidence and send to the agents you actually want. On the other hand, to be honest, your idea of ideal agent may well have missed a whole load of equally ideal agents whose virtues you just don't know. The ideal agent is YOUR agent, in many ways! (Though some agented authors might disagree!) What I'm saying is that you should never approach an agent who you don't think would be good for you, in which case it doesn't much matter what order you do it in. As for how many beta readers I'd recommend: quality not quantity. And not too early on. In my view, (but it's only my view) it's best to have written either the whole first draft or else the first half in much more polished form (whichever is your method), before you show anyone. I tend not to want anyone to see it until I'm pretty satisfied. The only person who will see it before the final redrafted version would be my editor and agent, but yes, I know, I'm lucky to have them. I never (and never did) show a novel at any stage to anyone else, least of all family, but that's just me. I have to have confidence in what I've done before I can use anyone else's help. Otherwise it wouldn't be from my heart. I might talk through a plot issue with a writer friend but that's all. I do feel that too much feedback from too many people too early is not a good idea. You need to write it with as much confidence and passion as possible (otherwise, how can you write it at all??) and then ask a trusted opinion. Or pay for a professional critique. I've always been very worried about the types of feedback that some people get from the wrong people. It can be very unhelpful and confusing. BUT, if you've found some honest, knowledgeable and trustworthy readers, who are in tune with both you and your market, no problem. Terresa – hello! My pleasure. Thanks so much for the excellent answers! And you hit the nail on the head about "ideal" agents — I read interviews with YA agents all the time, and so many of them seem wonderful! Actually, the recent Unofficial Agent Appreciation Day helped a lot, because a lot of agented writers gave details on their agent's strengths and how he/she works — things I'd never learn otherwise.